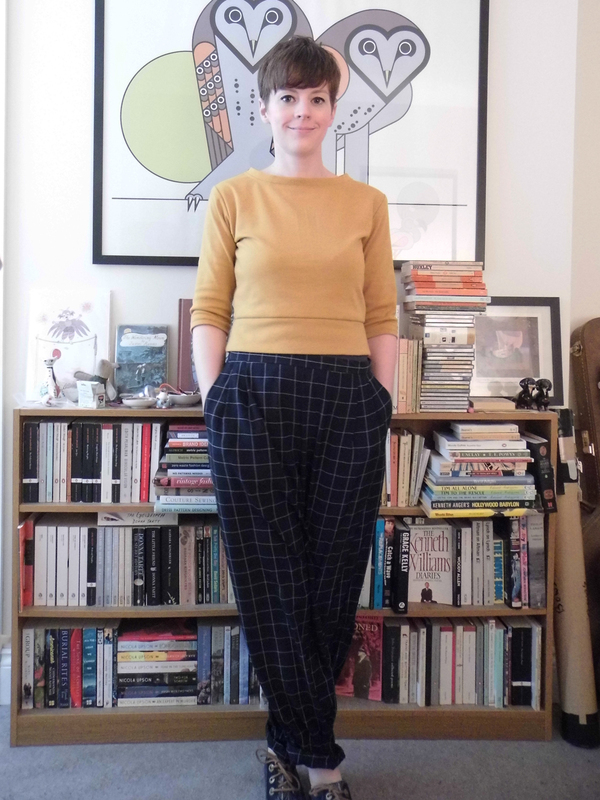 As I mentioned in my Summer sewing plans post, one of the garments I wanted to make was some Marilla Walker MercuryTrousers made from this lovely Crepe from Sew Over It. Although I’m blogging only blogging them now, I did make them in early September when the weather was still sort of warm, but I maybe won’t get much wear out of them until next Spring. But I do love them! 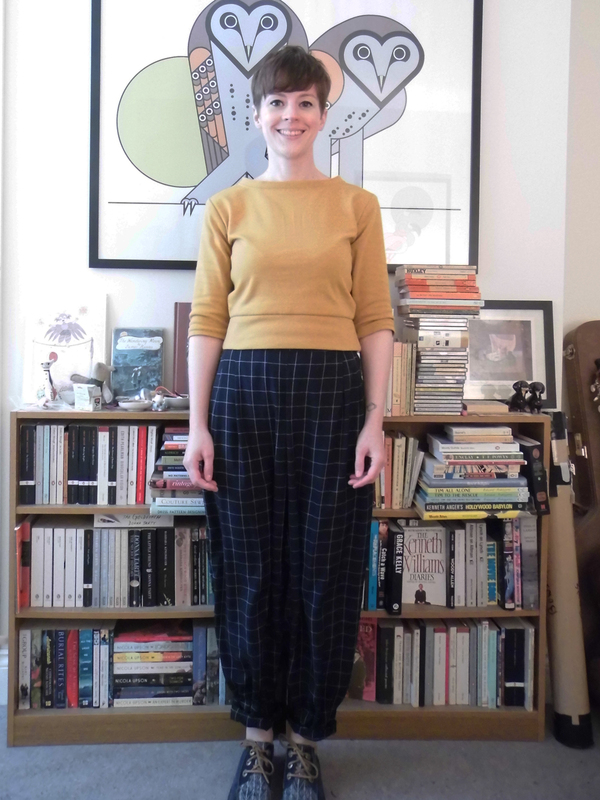 And the pattern was really easy to assemble, especially because there’s no fly or buttons – they’ve got an elasticated waist so they’re easy to fit too. I made the size 2, based mainly on my waist measurement because there’s a lot of ease at the hips. 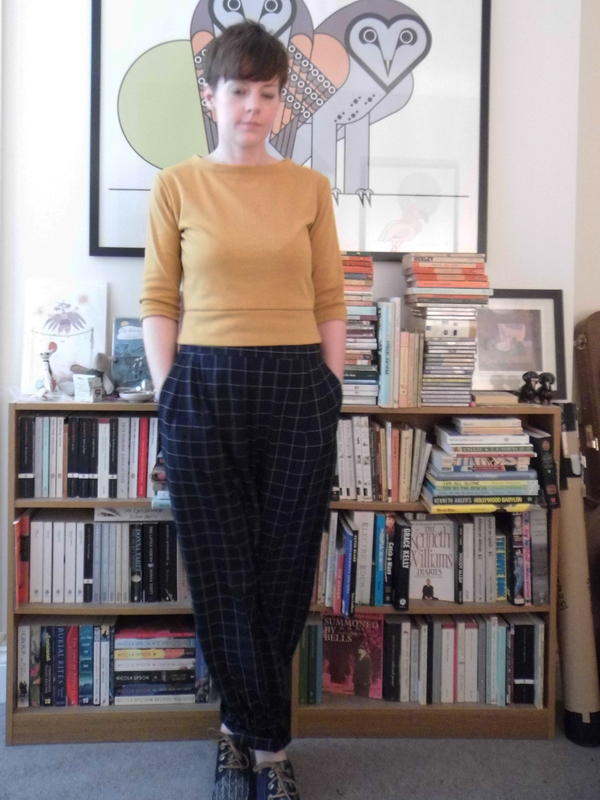 These trousers have excellent deep pockets – now I make my own clothes, I’ve realised my ready to wear trousers (the few I still have left) generally have pockets so small I can’t get even my hand in them, let alone anything else I might want to carry round. Having said that this pattern was easy to make, that was definitely true but I made a really stupid mistake. I had been ironing cotton immediately before ironing the centre front seam and I didn’t adjust the heat setting and melted a hole in the top of the trousers, right in the middle. 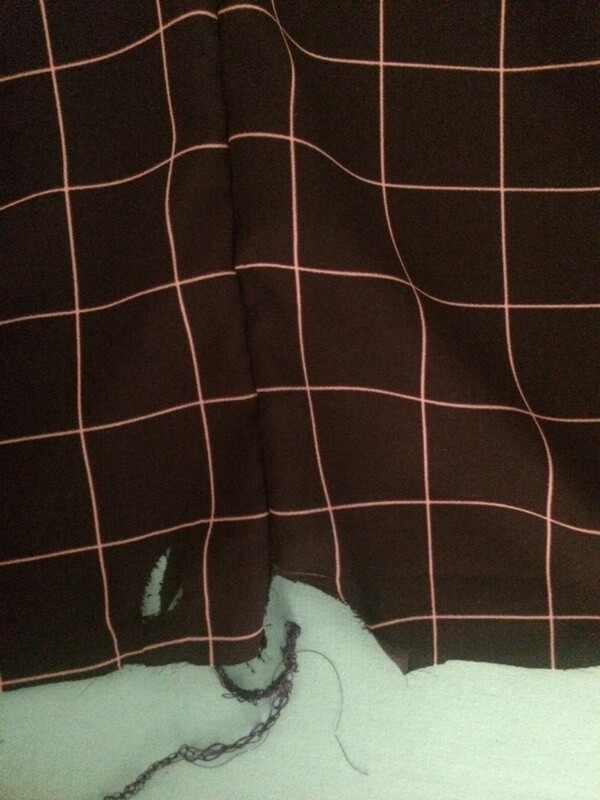 I’m not going to lie, I threw a little tantrum over it and stopped sewing for a while until I’d calmed down, thinking I’d ruined some not-very-cheap-fabric. 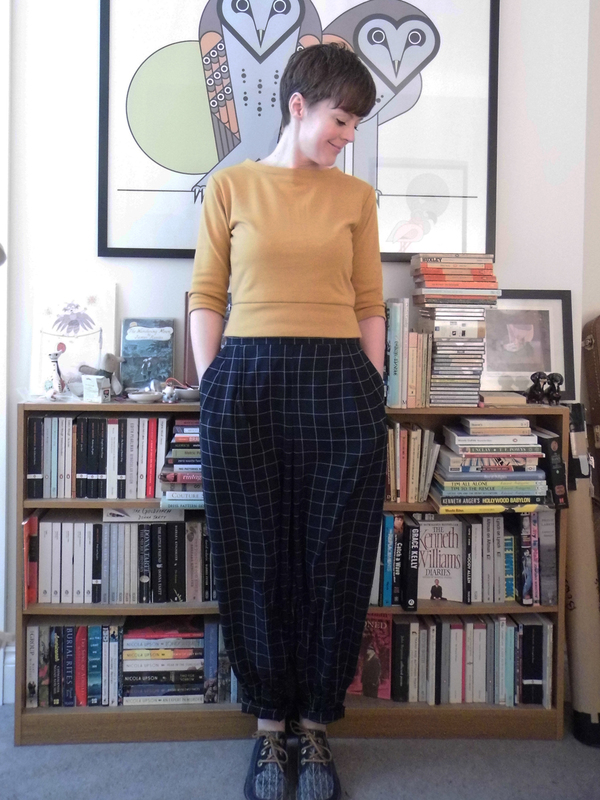 But when I’d calmed down and had a think, I realised I could just essentially chop the top off by sewing the waistband on further down the trousers than the pattern called for. 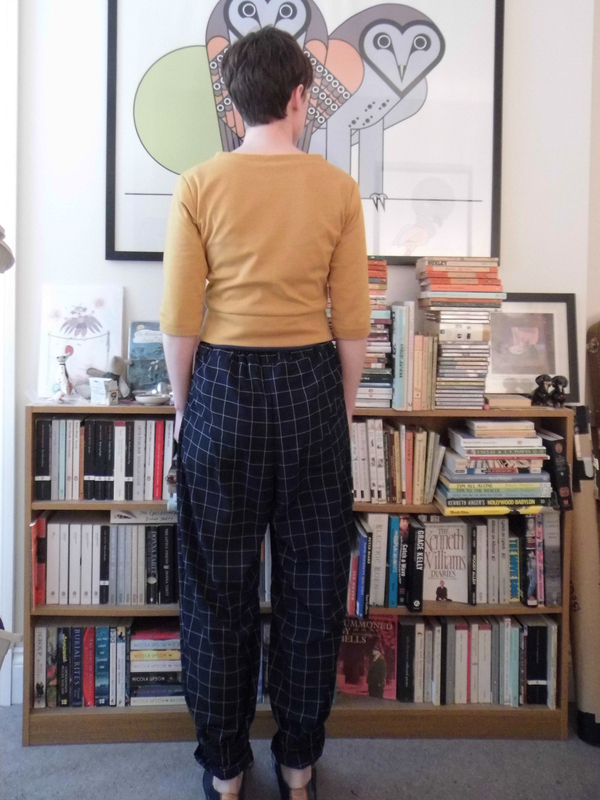 In the end I only lost 2cm and I think the trousers turned out fine – the rise was high enough on me that the adjustment didn’t give me a wedgie! 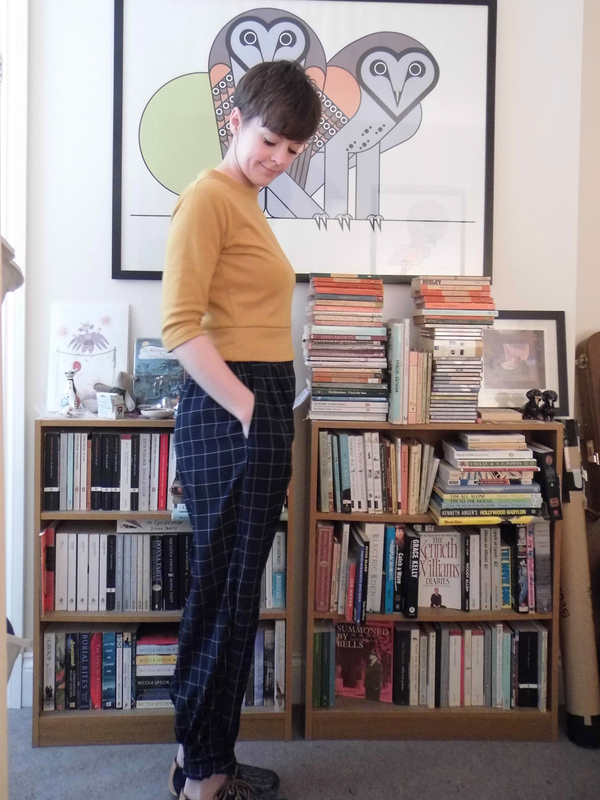 I made the view with the pleats and the cuffs on the bottom, but in these photos I’ve folded the calf up because the trousers are a little long on my, but I really like them and I definitely think I’ll make them again. I really like the wide-legged view too, and I think a pair in some lovely linen for next Summer would be perfect! I also really like the top that comes in the Mercury Collection, so I might give that a go when it warms up a bit too. I think this might be my favourite ever outtake by the way. You. Are. Welcome. 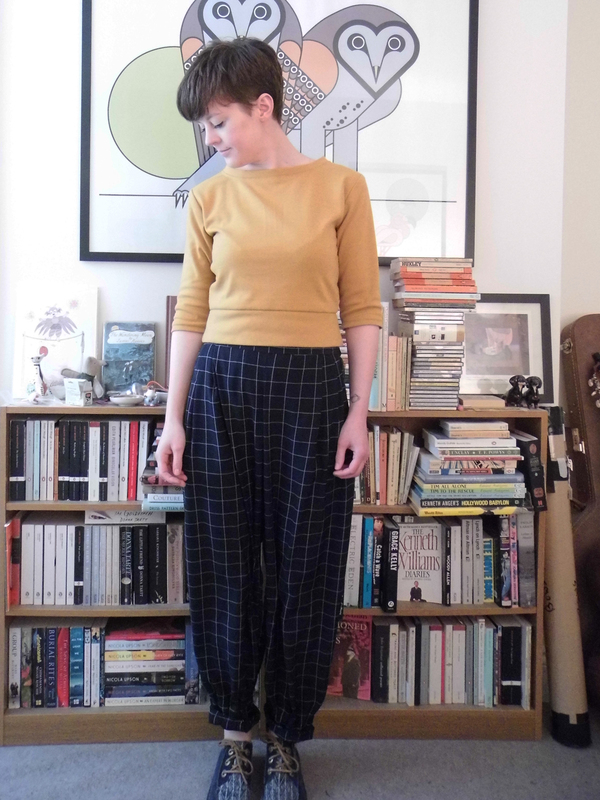 Have you made the Mercury Trousers? 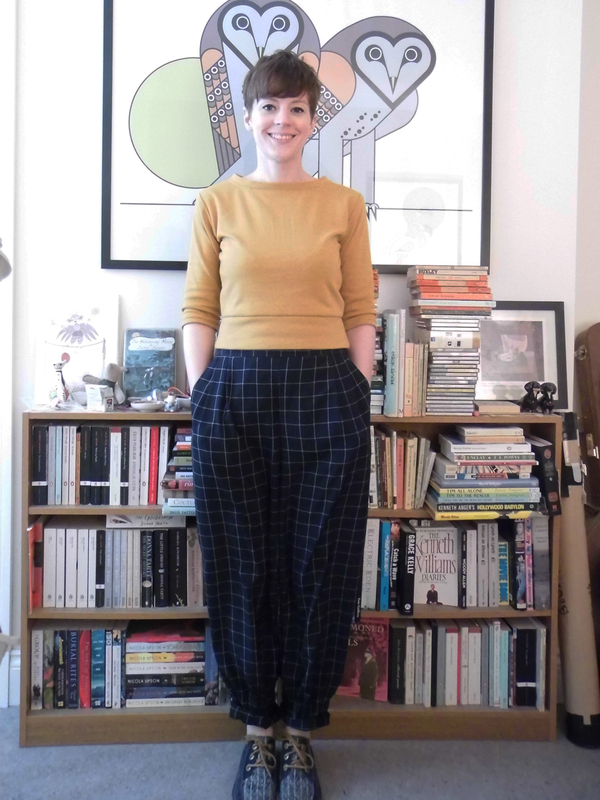 Or do you have a favourite relaxed fit trouser pattern?